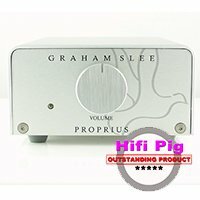 Having scored so highly the Graham Slee Proprius Mono Power Amps are currently with second reviewer Ian Ringstead to ascertain whether they will receive the coveted Hifi Pig Outstanding Product Award. This review will be published shortly. Read Janine Elliot’s first part now!! Over the last half year I have done a few reviews on products by Graham Slee, a highly religious and uniquely kind personality, whose ideas are well known but not as often reviewed as I feel they should be. Best known for the small phono and headphone amplifiers, his background was making mixing desks and amplifiers for the BBC in the days when even the girls wore suits. The days where you not only took pride in the work you did but also what you wore. I loved those days. So, sit me down (not in a suit) listening to his 25W Proprius monoblock Class Ab power amps, connected with Ecosse MS2.3 cabling to Graham LS5/9 speakers and I am reliving my 25 years at the corporation. The Graham S and Graham A combination are just meant for each other. The Proprius, like most of the Slee product base is simplicity in looks, but this hides some really good engineering design inside. No mass produced tech which is designed to woo in the listener with either over-accentuated bass or zillion Hz topz. This is about music; this is real class Ab – not D or T; this is about ease of listening, and an amazingly good amount of audio level despite the low power numbers; all those sudden bursts that many an amp needs hundreds of Watts in reserve to deliver with any meaning, are catered for with comfort here, even when I connected them to my 83dB sensitivity 15ohm LS3/5a speakers. Rated at 25watts into 8 ohm or 45watts if into 4ohm, each unit costs £645.90 and with XLR balanced in and conventional loudspeaker terminals is no mean product. The Proprii playing Sibelius 2 (Thomas Søndergård, BBC National Orchestra of Wales, Linn Records) via Fiio X5 into Slee Majestic DAC with its balanced output is masterfully performed, just as the sound engineer would have heard it. I could have been sitting behind the mixing desk. Memories from my past aside, this was a very musical and detailed performance easily justifying its price point. This is a truly dual-mono amplification system, allowing improved stereo separation. The small unit size is helped by having the 120 Watt switch-mode power supply in an external unit, and comes complete with a mounting kit so that it can be piggy-backed to your loudspeakers. That is where the balanced input really comes in, though it worked just as well unbalanced mode in the hi-fi rack. All that is missing is a power switch. I miss that as it means every time I turn the unit off or on I get a burst of current through the speakers. Whilst this is minuscule into the Graham Audio, through my aged Chartwell LS3/5a I needed to turn down the volume controls on the Proprii to protect the Kef B110 bass/mid driver. These amps are really designed to be kept on continually. Whilst the Proprius is designed to run on full power, having a volume control on each channel means it could be used as a single-input integrated. Despite its diminutive appearance this exudes quality, including rugged 15 Amp 30 MHz output transistors, high-end professional gold plated XLRs on input and power sockets, and an effective head radiator case for cool class Ab running. Frequency response into 8 ohm went up to 47kHz with no more than 0.1% distortion and S/N A-weighted at 87dB. OK, nothing mind boggling, but bearing in mind this is a discrete component design in a 105 x 55 x 205 mm box, there is nothing diminutive about its performance. There was nothing wanting from the sound I heard, and no confusion in the sound, whatever music I threw at it. This is professional audio amplification, often reminding me of my modified Quad 405’s from years’ back. Each mono-block comes complete with its own frequency chart showing that, as is very important, specification between units are as closely matched, much as was the tight consistency of quality control between every single manufactured LS3/5a, that I also paired for this review. Playing Nielsen Symphony No 3 (New York Philharmonic Orchestra, Alan Gilbert) first movement DSD recording via coaxial output from my aged Kenwood DVD-A player into the new NuForce DAC-80 gave a compellingly purposeful performance. At 09’30” even I jumped out of my seat as the music took to a new level. The instrumentalists of course remained in theirs. He decided this after listening to Led Zeppelin ‘Kashmir’ in a hi-fi shop and wondering why it sounded flat and compressed. Indeed, in the 1970’s Graham was himself a DJ, and also building on-the-road equipment. 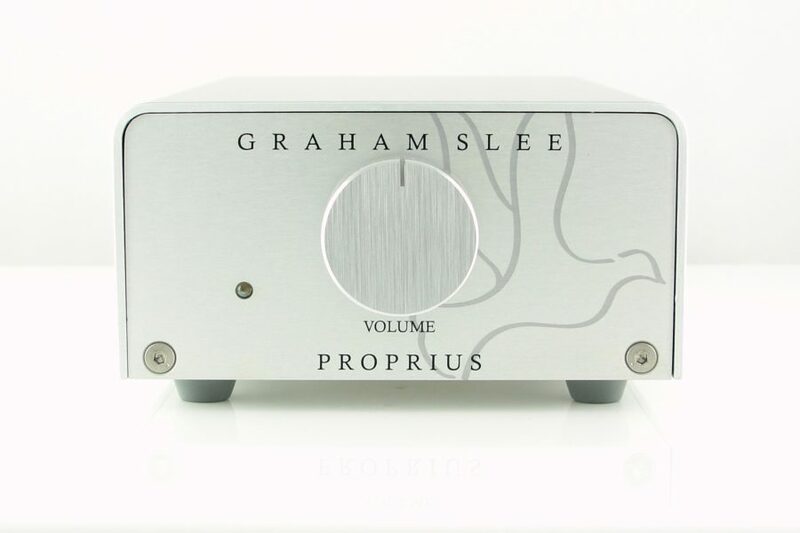 It was at this time he began developing phono preamps and headphone amps The Proprius certainly has enough welly to make even the most ardent Progressive Rock fan happy. And whilst this baby couldn’t compare anywhere near my Krell KAV250a in terms of power output, size or cost, this was no mere sibling. This had grunt, with an exceptionally dynamic and energetic soundstage from the deepest lows to the tizzling tops. I have sat on this power amp for a considerable time now, and every time I switch it on I get surprised just how good it goes. Whilst China-built packages can sound really good nowadays, I’m not interested in cheap prices or spec or buttons or lights. I just wanted to listen to musicians, and through this kit I most certainly could. Suzanne Vega Tom’s Diner gave a sweet but solid rendition of her solo voice in all its glory. All frequencies were clear and musical, from the lowest to the highest. Through the LS5/9s this was one of the best performances I had ever heard at any price. Patricia Barber ‘Live, A Fortnight in France’ had excellent depth of field, with each and every instrument played just as the musicians intended, with me there in Metz, La Rochelle and Paris. Thoughts of my 10W Valve Leak Stereo 20 came to mind; whilst the 50s design is low in output and has a technical specification today’s designers would be embarrassed to quote, it still sounds remarkably musical. That this 21st Century £1299 all-in package can sound as good as it does is indicative of Slee’s compulsion with creating the very best. Today’s “new” is being small, as shown in minuscule products such as Project’s MaiA, or the simplistic yet beautiful Roksan Oxygene series or the respected Devialet creations, so there is definitely a place for the Slee. As a woman, as well as liking to have less to dust, I would ask whether there could be versions in different colours; perhaps Pink (appropriately for HiFi Pig). Having different finishes not only fits into everyone’s living room and taste but also makes it more of a designer product, and therefore more expensive looking. 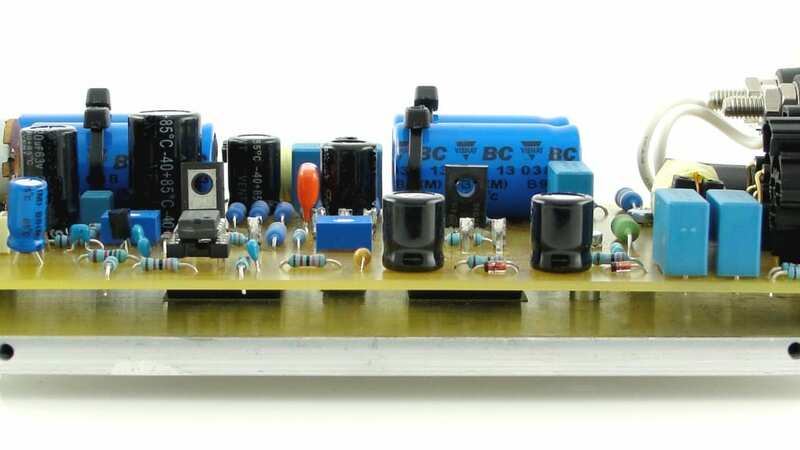 Yes, I know it would add a few pounds to the cost, but for an amplifier as good as this would add to interest from those who might otherwise not choose a Slee. For a complete Class AB dual mono-block power amplifier at under £1,300 is a feat in itself, but this system is more than that. It harnesses many years of experience of breathing in solder fumes and scratching of the head to create something that Graham himself is happy to put his GPSAudio dove on the front. The dove is portrayed as white and gentle, sweet and loving. This amplifier is certainly something I love, but the sound is not a white wash, nor is it only gentle. This is real class in a pint pot, and well worth the price. Having scored so highly the Graham Slee Proprius Mono Power Amps were sent to Ian Ringsted. 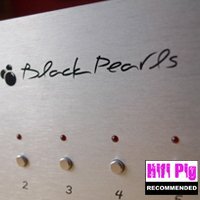 Here is his follow up report looking at the Proprius amps along with Graham Slee’s Majestic DAC. Read the full Majestic DAC review. Good things come out of Yorkshire and I don’t just mean Yorkshire pudding and Rhubarb. 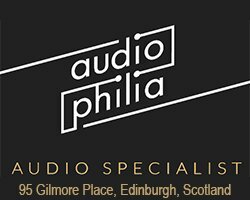 GSP Audio is owned by Graham Slee who hails from Mexborough in South Yorkshire and his business has been based there since 1998. He was an apprentice trained engineering craftsman in the 1970s, worked in AV until 1984 when he set up his own electronics and printed circuit design business, working with a number of “blue-chip” technology companies. In 1989 he became senior engineer at Audionics (Sheffield) Ltd, part of the Yorkshire Radio Network (YRN) group, where he designed electronics for broadcast studios – clients included the BBC, and numerous UK commercial broadcasters. 1993 he left YRN to freelance in electronics design with various companies. Graham was also involved in 1970s disco: building on-the-road equipment and as a DJ. It was at this time he began developing phono preamps and headphone amps. In 1999 he made his first commercial phono stage then known as the “Basic” and it received much praise from Gramophone magazine. However, as the name clashed with another manufacturer, it was changed to Gram Amp after the name broadcasters used for a turntable (the “Gram”). I have followed Graham’s products for a few years and owned his Novo headphone amp for awhile before my friend decided he’d like to try it, didn’t want to return it and so he bought it off me. His brother has one of Graham’s phono amps and they both love his product. My fellow reviewer Janine Elliot has already reviewed these units so this is a follow up to her in depth report and I wont bore you with all the technical details that she so thoroughly covered. I collected the units from Graham and followed the instructions on setting up which meant leaving the units permanently powered up , something I often do myself anyway if practical . I was also fiven a full range of cables to use that GSP recommend with their product. This consisted of speaker cables , phono cables and a digital coax .The cables are not super expensive and come terminated with good but not high end plugs costing a small fortune. 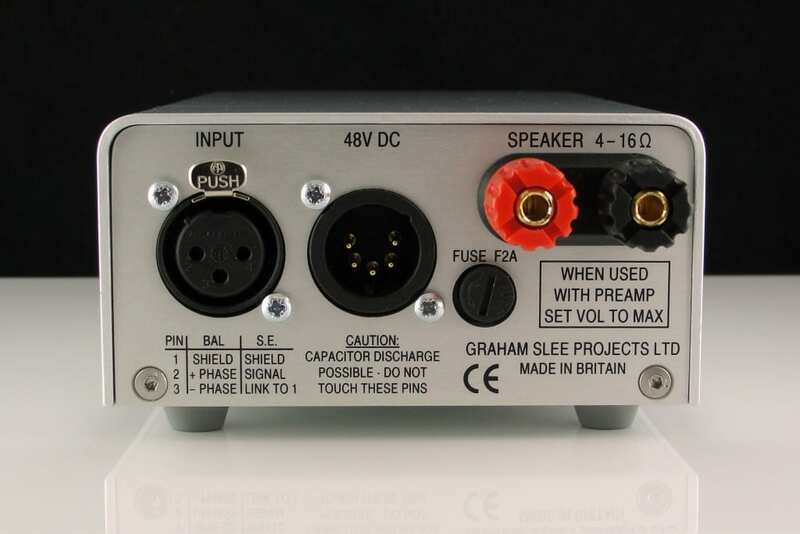 Graham and his team have experimented with various wires and plugs and felt that the value for money and sound quality achieved by these components was excellent . 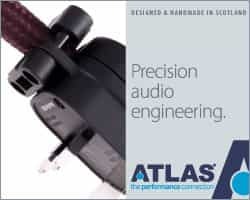 This has been borne out by his customers who have tried them and agree they sound superb and out perform many dearer and supposedly better cables out there. I spent sometime talking to Graham about his products and design philosophy and learnt he will not use components that don’t work and sound good consistently over time and he eschews audiophile components as snake oil. All of Grahams products follow a basic premise of small neat and simple designs. They are not over complicated , very easy to use and reliable. The first thing my wife said when she saw them was how neat and dinky they were. Why couldn’t all hifi be like this? True, they take up little space and are like little audio jewels in their smart anodized aluminium cases. Each unit has a single green led to indicate power and no power switches as Graham believes the amps should be left on to aid performance. The Majestic DAC is also a very comprehensive pre amp with a dedicated unbalanced analogue input for your phono pre amp and 3 coax digital inputs and 3 optical digital inputs. Finally there’s a dedicated USB input for use with a computer. There are RCA phono pre output sockets and balanced outputs on jack sockets allowing for connection to the power amps and an output to a headphone amp for example. The volume control has a nice smooth action but is not remote- so get off the couch you lazy people!. All controls work flawlessly and feel solid and reliable, and the socketry is excellent without going over the top. The instructions come in a neat booklet and are concise and very informative without over complicating things. 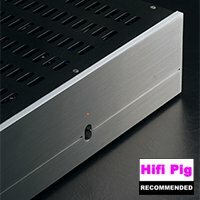 The Proprius amps are true mono blocks with their own out board power supplies… as does the Majestic .Therefore there is no possible interference from the power supplies affecting the low level circuitry in the amps and DAC/ pre The amps have a single rotary volume control on the front panel to adjust level if used direct from a fixed output source and left fully up when used with the DAC/pre using its own volume control. For an output rating of only 25 watts per channel and being so small in stature I couldn’t believe how loud and good these little amps sounded. My resident Triangle Titus EZ’s are relatively efficient but there was loads of power in reserve and I never felt the amps would run out of steam in my average sized living room. One of Graham’s customers uses large PMC floor standers and says he has no problem driving them. The sound is very clean, smooth but detailed and three dimensional. I didn’t feel any part of the frequency range suffered and on a very wide range of music types they excelled in all cases. The Majestic was a delight to use and the noise levels were very low and with no hum issues from either the DAC or the amps. 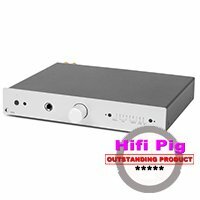 I used a Clearaudio Performance DC turntable for analogue duties and my trusty Sony CDPX 3000ES on both the analogue and coax inputs to compare the DAC in the Majestic against Sony’s excellent own on board DAC.. I have to say it was a close call between the two showing how good Sony’s original design was and how natural sounding and sweet the Majestic was with no digital nasties. My friend came over to hear the units and was mightily impressed. You could play anything digital through the DAC and it would sound very natural, dare I say analogue like. A biblical analogy springs to mind with these units, the story of David and Goliath. You look at the Majestic and Proprius units and when compared with your usual behemoth amps with several hundred watts under their hoods and equally high price tags, you think it will be a very one sided contest. Well let me tell you it isn’t and anyone who has heard the story knows David defeated Goliath the mighty warrior with one well aimed stone from his slingshot. Graham’s units do just this, confounding all beliefs and they really made me sit up and take attention. This combination of units just get on with it, with no fuss or shenanigans being down to earth just like their designer. In the few weeks I had the units I never tired of listening to them and will miss them now they have gone off for review abroad. I applaud value for money products and clever simple designs that work reliably year after year. Graham sells his products worldwide but I feel he is no where near well known enough here. Hey his products are wholly designed and made here and he is proud of it. He doesn’t have huge budgets in order to promote his products relying on his loyal customer base, dealers and word of mouth. His product is not only fantastic value and very well made but is small so the wife acceptance factor is huge. The number of times in retail I lost sales or had to do exchanges because wives or girlfriends said no chance due to the size or ugliness factor made me despair. 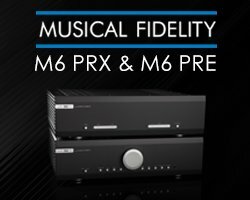 The amps sell for £1250 a pair and the Majestic DAC pre is £1600. That is not beer money, but when you compare them with what else is out there for the same price you appreciate their qualities. I have heard far dearer kit which would be embarrassed by this trio. Read the full Majestic DAC review here.